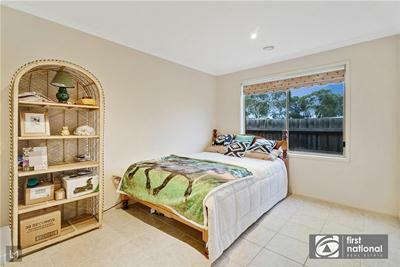 - Four bedrooms plus a study, two bathrooms, two living areas and a double garage; A large master bedroom incorporates a spacious full ensuite and a walk in robe. 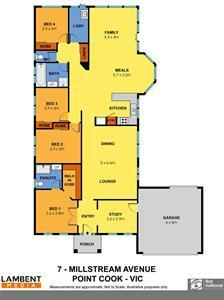 -All other three good proportioned bedrooms are fitted with built in robes. 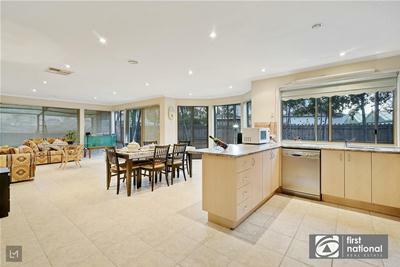 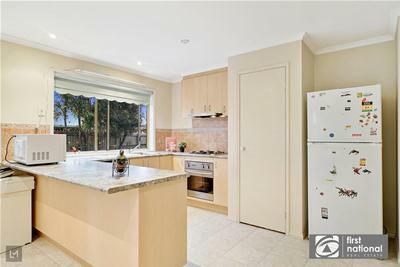 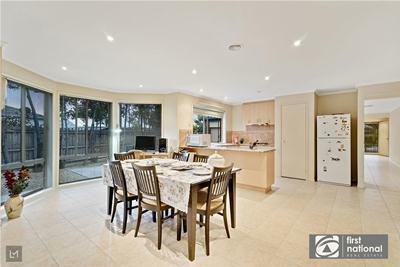 - You will be remarkably impressed by open plan kitchen with good quality stainless steel appliances; tiled splashback, s/s dishwasher; spacious pantry, with plenty of work space to indulge in cooking delicious meals for the family and friends. 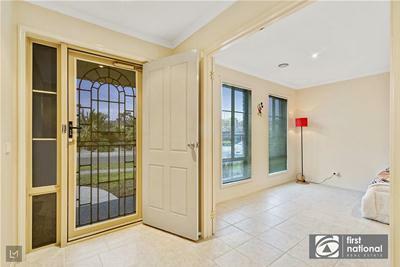 Large window overlooks the side yard. 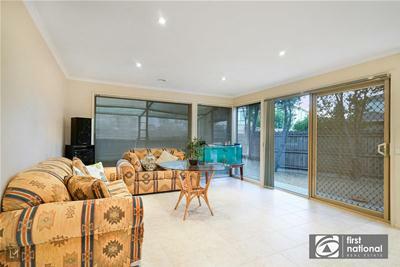 - Multiple living areas include a front formal lounge, large informal meals/family areas adjacent to the kitchen overlooking the side yard through the sliding doors. 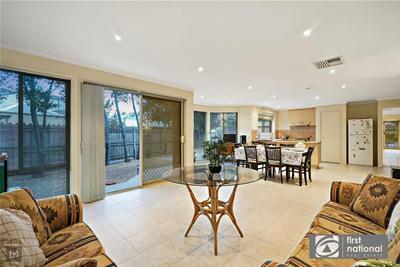 -With a substantial low-maintenance front yard & backyard, you can enjoy the outdoors stress-free all year round. 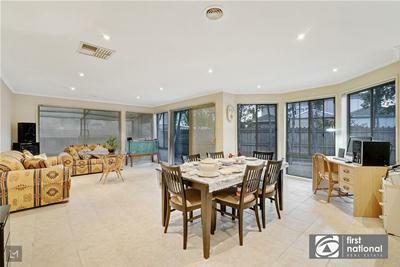 - Extra features include double garage with internal and drive through excess, ducted heating, cooling, high ceiling, separate laundry with extra cupboards for storage needs, fully landscaped low-maintenance front yard & back yard and much more to explore. 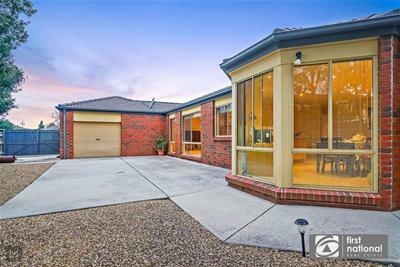 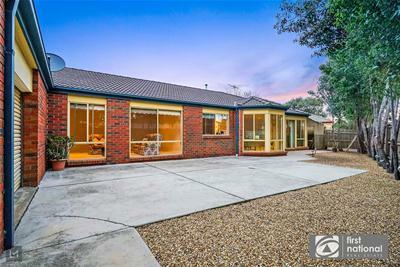 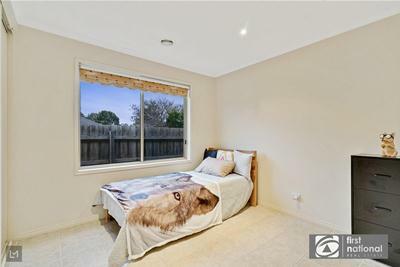 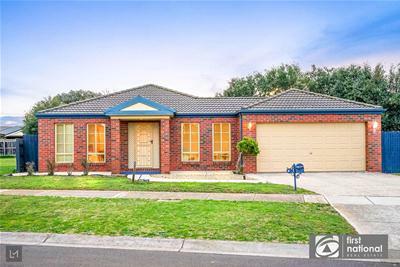 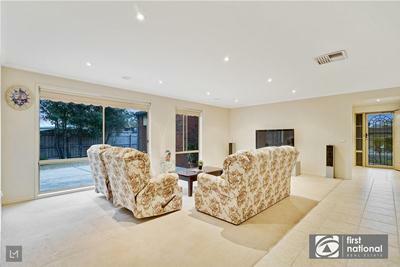 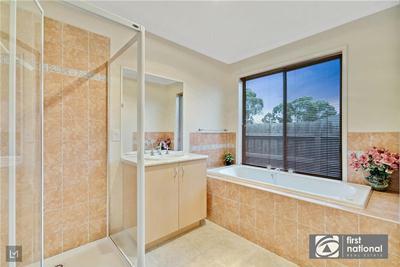 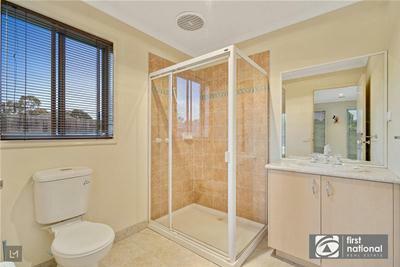 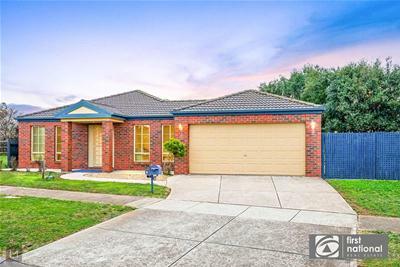 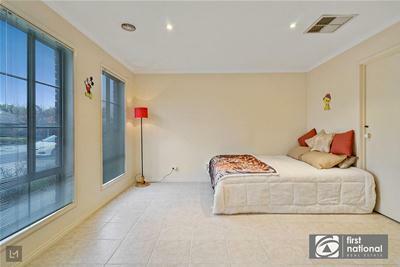 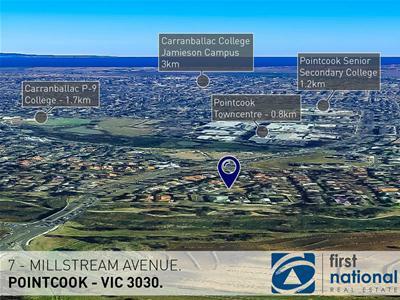 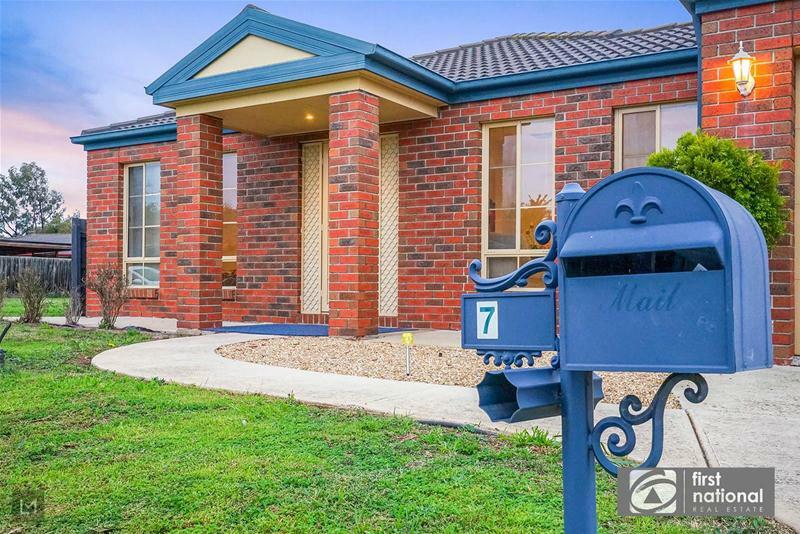 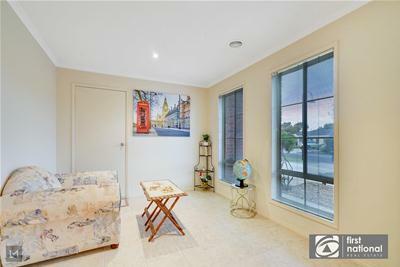 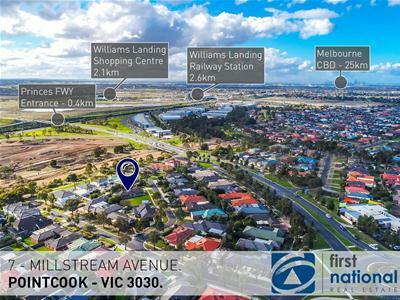 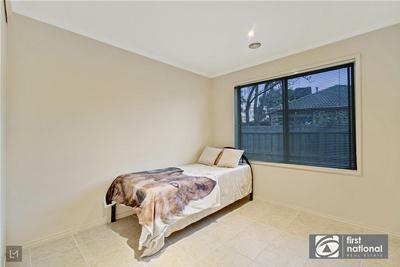 Situated at about 21 kms from Melbourne CBD, this is a prestigious location close to parklands, childcare, medical centre, schools, Point Cook Town Centre and public transport with easy access to Princes Freeway.